One of the most formative of the books I read after leaving University in my early twenties was Lenin’s State and Revolution. I can’t say it hit me as in the same way as say, reading Nabokov or Joyce, but it did hit me. Lenin wrote it just before the October revolution. It is an unfinished piece. He says in a postscript that the revolution has interrupted the process of completion and that doing revolution is more enjoyable than writing about it. Stylistically, it is a challenge too. Not that it is not clear. But the purpose of the pamphlet is to review what Marx and Engels had to say about the state and revolution. Lenin has to do this to challenge the distortions of other Marxists, who in a style typical of the left, even sometimes today, he frequently denounces. Like all great texts it is of its time as well as also stunningly modern. So, one of the stylistic features that could put off some readers is the use of very long quotations from Marx and Engels. However, there is a good reason for this. Challenging those like a Kautsky, the theoretician of German social democracy, the name used for left wing parties at the time, is done by trying to show, beyond dispute, what Marx and Engels had said about the state in order to prove that Kautsky was fudging the big question: can the state be taken over because it is a neutral space or does it have to be overthrown and “smashed”? Lenin begins by establishing quickly that the state is a body that arises out of the “irreconcilability of class antagonisms”. (His italics).It is set of institutions that monitors, controls and enforces the rule of one class over another so that it can ensure order all the better to continue exploiting us. He points out that,ultimately, the state is about soldiers, the police, prisons and courts, Anyone watching the ferocious counter- revolution going on in Egypt at the moment can see that Lenin is not making this stuff up. However, Lenin’s argument goes further. These special armed bodies are crucial he says but the state is more than these. Following Marx in The Communist Manifesto, Lenin argues that the state is a committee for sorting out the affairs of the whole ruling class. Whole is the key word here. Lenin pulls out the subtlety of Marx’s analysis by pointing out that the ruing elites in society are seldom at one on which direction to go. Debates about Europe now are a good example of this with the ruling class split over staying in. These arguments between those in power can turn nasty. The state therefore has to try and hold, sometimes warring factions and groupings, together. To fail to do so would be disastrous for those in power as their squabbles might go too far because their economic and political interests often diverge. Ruing class splits frequently open up space for insurgency from below. This is something that the state wants to avoid and therefore mediates between factions within the ruling class. So, the state is like a huge house with different rooms of varying importance. The crucial room, lets call it the cellar, is where the special bodies of armed me and women are housed-the obviously repressive state functions. Another important room is what might be called the front room-parliament. This is where the rules and regulations of society are made. This is the show room; the place the ruing class wants us to see as we can all come here if we get elected. It is held up as a place of democracy. Okay, sometimes the guests over do it, taking bribes and living the life of Riley on expenses at our expense! But nevertheless, it is the democratic fig-leaf that hides the really important bits of the state out of sight. Another, more important room however, is what is often referred to as the executive. Lenin argues that “the real business of state” is carried out here behind people’s backs, and which the old comedy series Yes Minister knowingly represented. This is the space where the top civil servants, advisors and lawyers hang out. It is an area shrouded in mystery. Even the way they communicate is difficult to understand as one of their top jobs is to conceal from us what really is going on. Some call this the ‘state bureaucracy’ as it is completely unaccountable. These are the people who, in Chris Mullins’ novel A Very British Coup, foil the election of a leftwing prime minster, Harry Perkins, and lead a coup against him. We can see the relevance then of Lenin’s ideas here. They are a reminder that if we elect the ‘wrong’ person, one who might want to challenge the pro-austerity policies of what has become known as neo-liberalism, the executive can step in to get what the ruling class wants. Of course, even the slippery ways of the executive do not always work. And that is where the doors of the cellar are opened and the repressive forces of the state are let out onto the street. Lenin makes clear that for most of the time the system does not need to rely big time on the heavy handed use of force. It is dangerous for them. One effect of doing so is to rip the democratic mask from the face of the ruling class and its institutions. The seemingly benign control of Shakespeare’s Prospero is revealed to be premised on the grotesque violence of a Caliban. In fact the American Marxist, Hal Draper, presses the allusion further. He goes as far as to say that Prospero is a useful metaphor for the ruling class who are too busy ruling and exploiting us economically to interfere with the day to day ‘admin’ of the state so they leave that to Caliban who provides, food, firewood and carries out all the unpleasant tasks. Sometimes Caliban does not do as he is told but can be brought to heel if needs must.And talk of The Tempest leads me to the issue of territory. A point not always brought out by those summarising State and Revolution is that the state, unlike in pre-class societies, defines a physical space which has been carved out of conflict. The state not only protects the ruling class from internal threats, but external ones too. Drawing on Engels, Lenin points out that as capitalism is a system of geo-political rivalry, the armed forces can be used to defend, expand, or destroy territory and those living in it. During the 19th century military expenditure expanded massively. Today spending on the military is so great it could feed the world many times over.This helps the state to appear as though it stands above society ensuring order in all aspects of life at home and abroad and can therefore seem neutral in class terms. This leads some who should know better, argues Lenin, to claim that the existing state can be used to usher in socialism. Much of Lenin’s pamphlet reminds readers of Marx’s celebration of a new type of state that had emerged, albeit briefly, in 1871: the Paris Commune. In Paris the communards had destroyed the state by replacing it with one that had a very different organisation and structure. Firstly, the traditional separation of the making of rules and the carrying them out was now done by the same people. Subversion by an unaccountable bureaucracy could be prevented at a stroke. The election of the Commune’s representatives, men, was done on the basis that they could be de-selected at any time if the electorate thought that they were not doing what they were voted in to do. Whilst the salary of an MP today is more than twice the average salary, the communards and state officials were only allowed a typical workman’s wages.Finally, the abolition of the selected armed bodies were replaced by the armed people. This point is worth elaborating on as it seems so distant from experience. The idea here is that we should oversee ourselves. And of course, as Lenin argues, day one after a successful revolution it is not very realistic to believe that those who run society will turn round and say, ‘Okay guys, you’ve won. Over to you”. All kinds of subterfuge could attend a successful redirection of resources to meet the needs of the 99%. But, the key element is that in the transition from a class society, the old state has been replaced, or in Lenin’s words, “smashed”. Of course, there would still be classes in existence and the new state reflects this. And here the language Lenin uses often shocks people.It did me as a young activist. He calls the new state, like Marx before him, a “dictatorship” of the working class. Images of gulags and death chambers, from Stalin to Hitler, immediately float before some people’s eyes. But words change their meaning. If we really want to find out if Lenin was the psychopathic loon of popular myth maybe we should look at what happens to words over time. Take the word, saucy. The current dictionary definition says that it means sexually suggestive in a light-hearted and humorous way as the predominant meaning; lively and spirited in the secondary meaning. In Shakespeare’s day it meant something different. When, in Othello, Roderigo uses the word “saucy” talking to Brabantio, he means insolent. Yes, there is a connection with the secondary meaning but they are not identical. Language changes like everything else. And that is why knowing what an 1850 reader of The Communist Manifesto might have understood by ‘dictatorship’ is necessary. 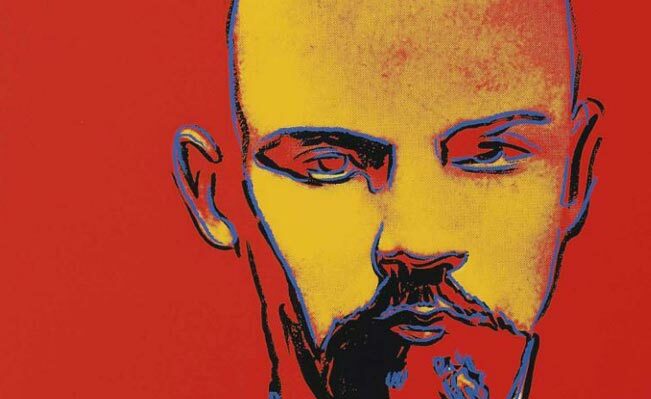 The key for Marx, and therefore Lenin then, in State and Revolution, is that the new state form is being described as transitory in nature.Lenin uses the term as synonymous with workers’ state. Now this is important for Lenin’s next move where he has a dig at anarchists who want to get rid of all states straight after the revolution. Lenin argues that the workers’ state, or “dictatorship” is a transitional one which emerges from the struggle of people to change society and to prevent its overthrow by external or internal ruling class violence. The state form is temporary, and having completed its work, withers away. Why Lenin asks? Because the state is the product of irreconcilable class antagonism; the class basis for the state has disappeared. Thus, even the workers’ state is merely a moment on the journey to a proto-political authority when the new human being with her/his codes of interaction emerges in the process of shaping the world to a new set of priorities focused on need not competitive accumulation. Nonetheless, after a revolution, decisive action needs to be taken. Lenin makes this point. But what modern commentators do is suggest that this is unlike anything that has ever happened before in the UK. However, the British ruling classes’ approach in the second world war looks very much like the actions of a Roman republic.Temporarily, banning strikes, taking over ownership of private companies to put at the service of the state, suspending elections and throwing people in prison whose views or actions were seen as threat to the war effort, were deemed justified by Churchill’s government and are all classic examples of the 19th century definition of dictatorship, albeit a dictatorship of the bourgeoisie! Later in 1921, in another, for me, formative text- Leftwing Communism:an infantile disorder-Lenin had a thing about catchy titles-he argues decisively no, especially in the context of an important debate with some British ultra-lefts who wanted to boycott the Labour Party and elections. It is another text which was formative of my experience. But its summary will have to wait for another time.